It won’t be ready in time for Christmas, but the exact version of the Army’s new handgun will be for sale in limited supply in just a few months. Sig Sauer plans to sell 5,000 of the M17 Modular Handgun System 9 mm pistol as early as May, said Tom Taylor, the company’s chief marketing officer. Each of the handguns will have its individual serialized number with a matching coin and certificate of authenticity, Taylor said. 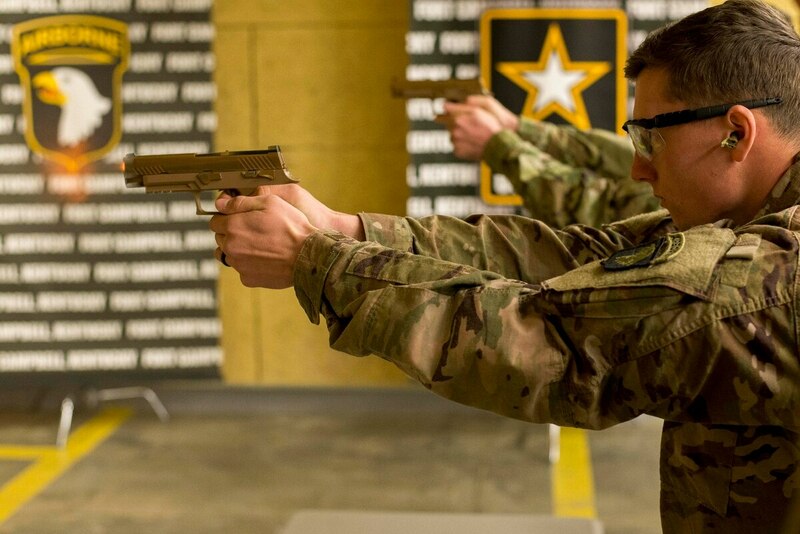 Sig won the Army’s 10-year, $580 million contract to provide as many as 238,000 pistols to replace the M9 Beretta 9 mm pistol, which has been the standard sidearm since the mid-1980s. Around the same time of the release of the 5,000 M17s to the public, Sig will also be producing a commercial version of the handgun. That version will have minor differences from the Army version and have an optional thumb safety. That weapon will remain in production based on consumer demand. The only differences between the commercial version and the military-issue weapon are that the commercial version will not have special coatings for parts or the anti-tampering mechanism, Taylor said.